Much of the personal injury legal process is the same for cases involving injuries to children as it is for those involving injuries to an adult. However, there are some differences between the two types of claims that parents of an injured child should understand before the pursue a claim. First, the law generally assumes that children are not capable of possessing the same well-rounded judgment that adults are capable of possessing, and therefore there are differences in some of the rules and guidelines that are in place for child injury claims. Every year children are injured in accidents though no fault of their own. It is generally acknowledged that a parent or guardian is often responsible for medical bills of an injured child. Therefore, if your child has been injured in an accident, the parent or guardian has the right to make a personal injury claim for compensation on their behalf. Also, a parent is permitted to negotiate the claim on behalf of the injured child, as a person is not capable of negotiating a claim until they are 18 years old. What Should A Parent Do When Their Child Is Injured? A parent should obviously tend to the needs of the child. That means making sure prompt medical attention is provided. Once that is accomplished, a parent should try to gather information about what happened. The proper authorities should also be contacted, like the police in case of a car accident or animal control in the case of an animal bite or attack. The names of witnesses should be written down. Photographs of the scene and/or of the child's injuries is also a good idea. If a personal injury claim is being pursued, then you should also file a claim with the relevant insurance carriers involved. For serious injuries, or those that may involve permanent injuries or disfigurement, a parent should consult a lawyer about the child's rights. A qualified child injury attorney will be able to advise parents about the likelihood of a successful outcome and the benefits of hiring an attorney for legal representation. Would My Child Have To Bring A Lawsuit Himself/Herself? Most cases - an estimated 98 percent or more - involving injuries to children do not require a lawsuit. However, if a lawsuit is necessary, a guardian must be appointed by the court to bring the lawsuit on the child's behalf. Typically the guardian will be the child's parent, but any person who is of sound mind and good judgment can act as the guardian for the child for purposes of the lawsuit. Your lawyer should explain to you the process of appointing a guardian so that a lawsuit may be commenced. Will My Child Be Traumatized If We Bring A Lawsuit For Their Injuries? Not usually. Lawsuits are only brought in a small number of cases - usually less than 2 percent of all cases. If a lawsuit is filed, the child's deposition may be requested depending on the child's age and level of maturity. This can sometimes be an overwhelming and intimidating experience for a child, which makes it even more important that the child understands the nature of the situation. If a lawsuit is involved, it is probably in the best interest of the parent or guardian to consult with an attorney who has experience in representing injured children and therefore understands how to make this process as easy and trauma-free as possible. What Is The Likelihood Of Going To Court In A Child Injury Case? 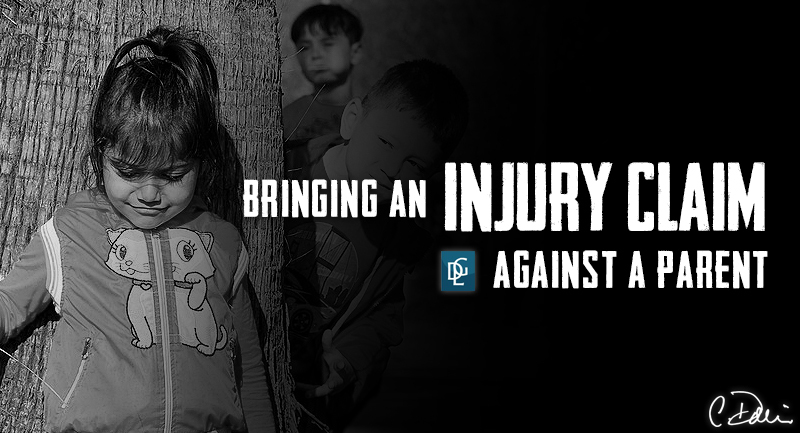 Most child injury cases settle without going to court. Statistically speaking, the chance of a personal injury case will go to trial is less than 5 percent. The likelihood that a personal injury case involving a child is probably even smaller. In cases where the evidence of liability against the defendant is strong and the injuries are fairly serious, the likelihood of the case going to court will be even smaller.